Hillel at UCI thinks about programming with one central goal: creating and fostering a positive Jewish Community for students. We have Israeli and Jewish cooking classes, spring break trips to help repair the world (Tikkun Olam), festivals on campus, and weekly office hours at Starbucks. Every year our student leaders design our calendar in a way that best reflects the needs of our community, which provides our student body with the most enriching programming possible. Every year we hold a three day festival for Israel, called "UCIsrael". Each day is a celebration of Israeli food and culture, and a chance to engage in a positive, wholesome celebration of Israel. 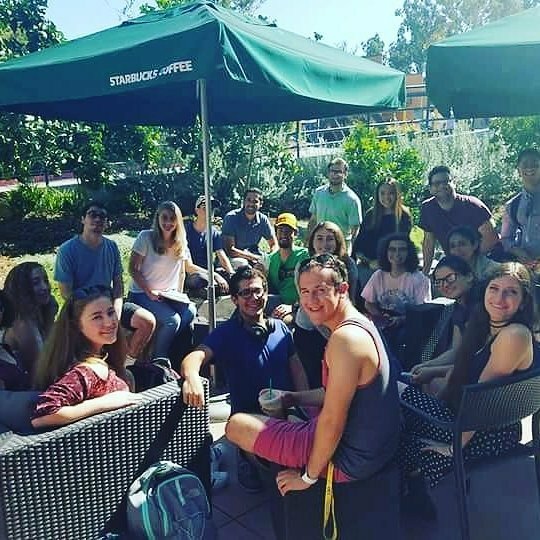 Every week for two hours, UCI students can unwind with their community at Starbucks. Shelby, the Hillel staff person, is there with a listening ear and a smile. It's a chance to learn about what events Hillel has going on that week and enjoy your favorite Starbucks drinks. In addition to the classic traditional Shabbat Dinner, students like to add something new. Frequently we will invite a special guest to speak while we enjoy our meal together, providing a chance to learn about a side of Judaism we do not have the most frequent access to. 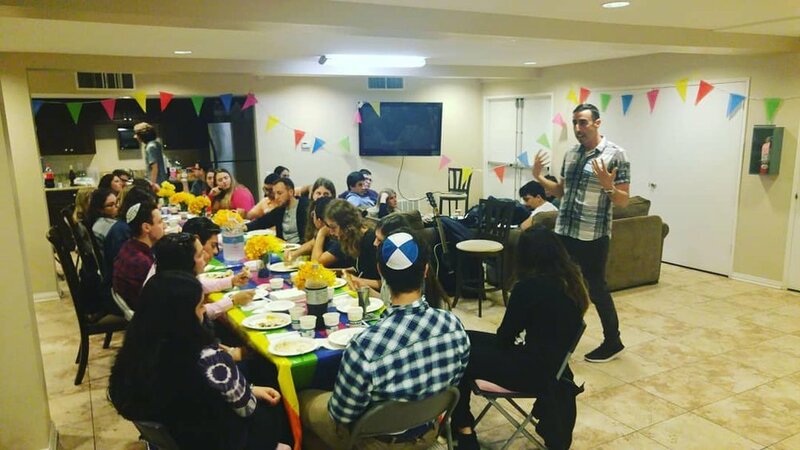 The UCI Hillel is a home for Jewish students during all holidays throughout the year. During Passover, Hillel provides Kosher for Passover lunches for students on a daily basis. Our students feel connected to their families and our tradition during one of the most important holidays of the year. 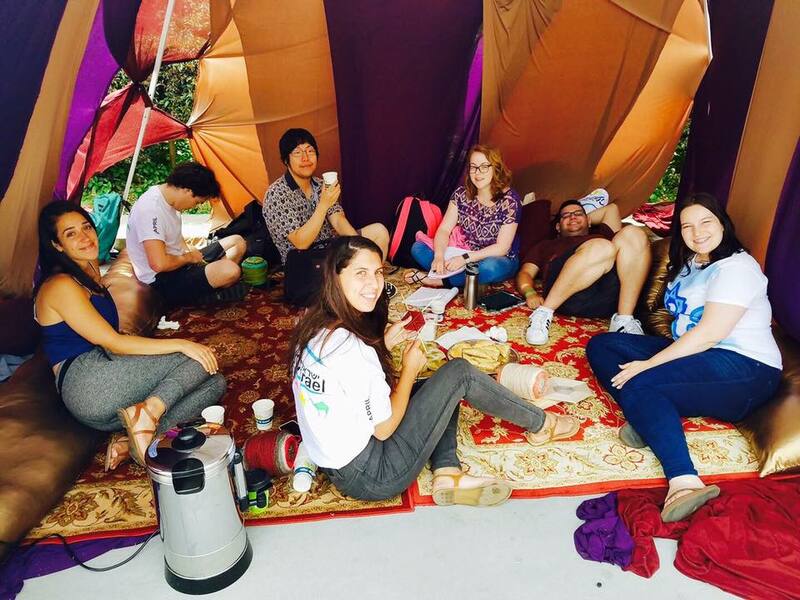 For two years now our Hillel has a tradition of participating in Alternative Spring Break (ASB). 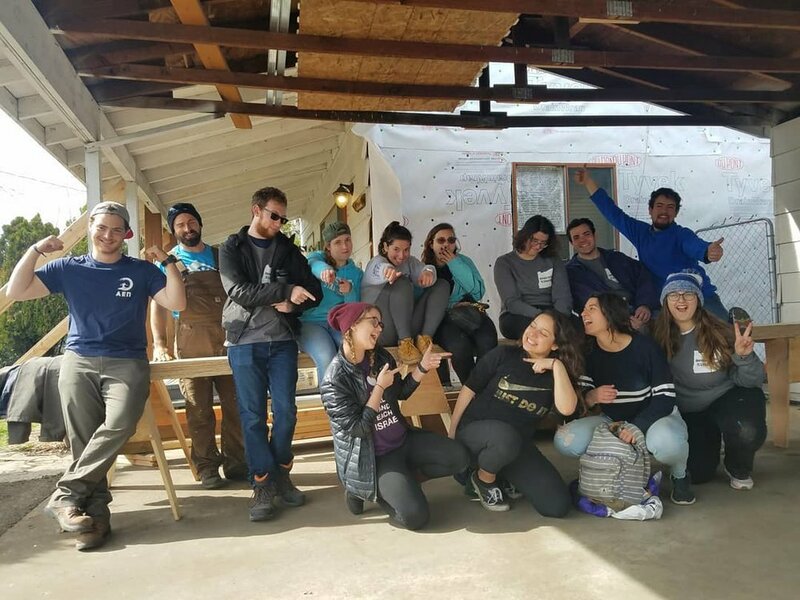 In 2018 we went to Portland, Oregon and worked with Habitat for Humanity. There we worked in the ReStore - a discount furniture store owned by Habitat for Humanity, with 100% of proceeds going to upkeep of the store and to buy building materials for families in need. We also helped work on a house that was in need of repair. Students learned about the values of community, tikkun olam, and donating time to a worthy cause. We look forward to next year!